If you’re looking for bicycling safety tips, a place to walk or ride or even seeking a local bike shop, you’ve come to the right place. Spend some time clicking through the links on this page for a cornucopia of resources. Have information or a link to share? Send it to our project director! FDOT Bike/Ped Center– The Florida Department of Transportations page for pedestrians and bicyclists. safer roads, stronger communities, and a bicycle-friendly America. Get information on all things biking. Transportation Information from 1000 Friends of Florida – The 1000 Friends of Florida Transportation page is updated with Florida road plan information as well as additional transportation resources relevant to people on bikes and foot. 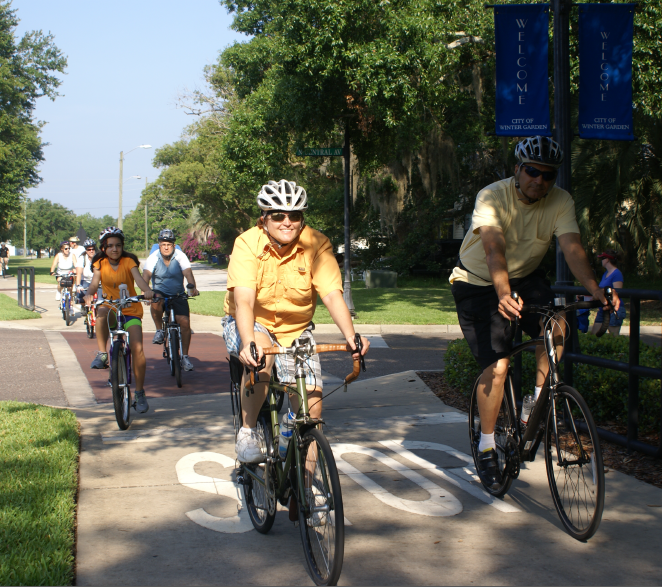 University of Florida Bike Program – UF offers a departmental bicycle program to encourage faculty and staff to use alternative modes of transportation on and around campus. University of South Florida CUTR – USF’s Center for Urban Transportation Research combines academic knowledge and extensive “real world” experience in developing innovative, implementable solutions for all modes of transportation. Walkable and Livable Communities Institute – The WALC helps to create healthy, connected communities that support active living and that advance opportunities for all people through walkable and bikeable streets, livable cities, and better-built environments. Looking for group rides and events in Central Florida? Below are a few resources to help you find exactly what you are looking for. With locations all over the state, David’s World Cycle offers training programs, clinics and group rides for all levels. Orange Cycle offers group ride information, tips on group ride etiquette, training ideas and articles on cycling in Central Florida. The Florida Freewheelers website has information on group rides and events around the region. For a list of daily rides all over Central Florida, visit CFL Cycling’s website. Looking for a place to ride on your next vacation? USA Cycling has a general search engine for rides and events around the country. MeetUp is a great social media network to connect with other cycling enthusiasts in your area. The Eastside Cycling Club meets in Avalon Park for Saturday morning and Wednesday evening group rides. Winter Garden Wheel Works has bike rentals and local maps as well as weekly community rides. The Seminole Cyclists website lists daily local rides of all different levels. 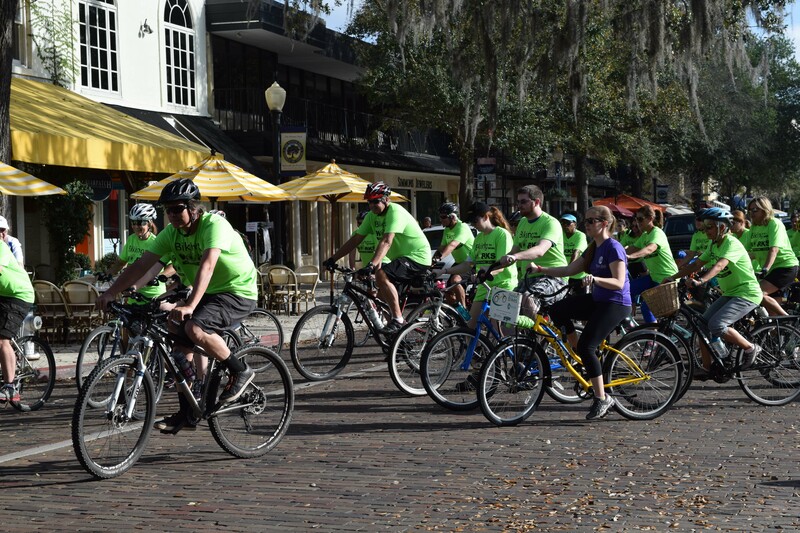 Winter Springs Cycling offers three weekly rides to promote fitness, camaraderie, and group riding skills. Space Coast Velo Sport offers multiple weekly rides of different distances.